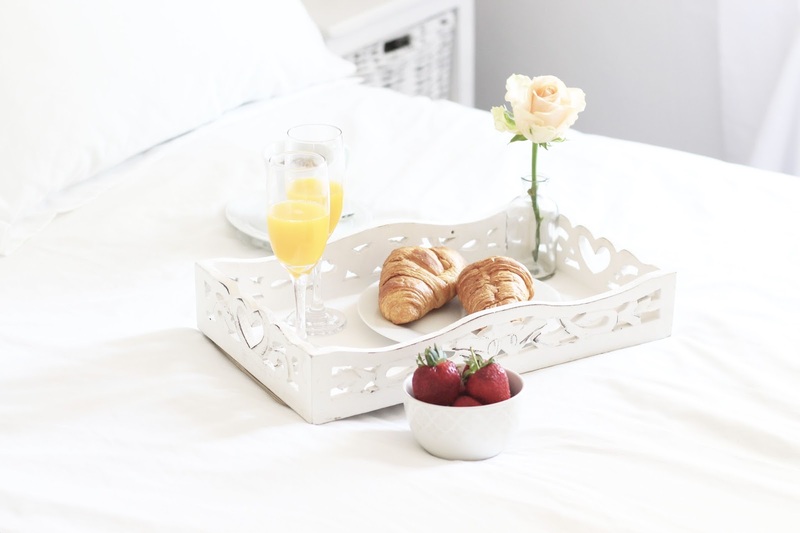 Breakfast in bed is one of those things that sound so simple and elegant but can easily go awry. It's one of those things that if planned correctly can be so much fun. 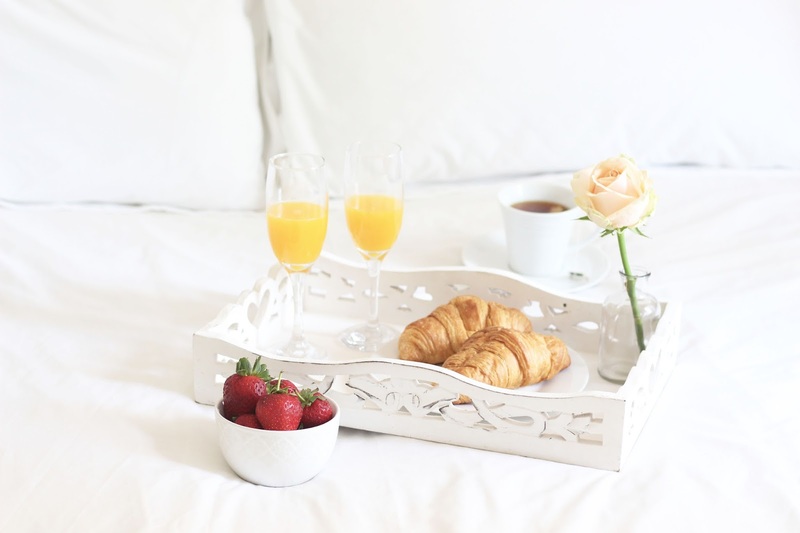 Here are some of my tips for planning the perfect breakfast in bed for your loved ones. 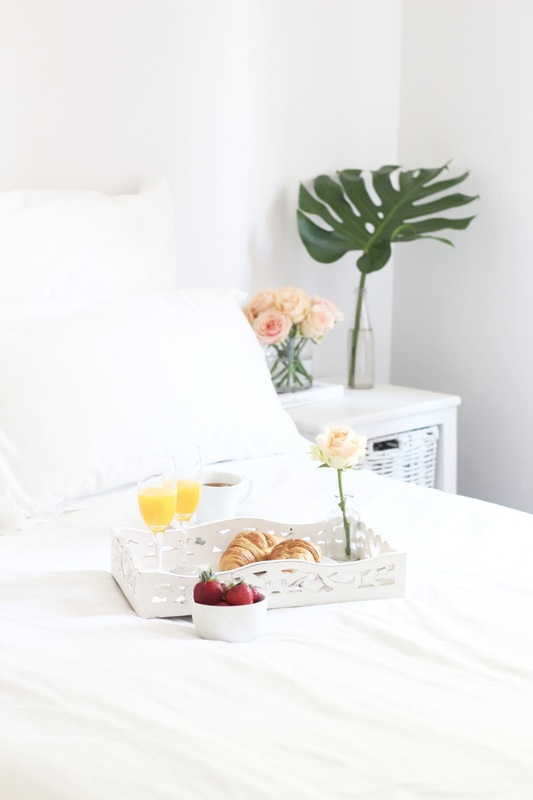 Some of my essentials are a pretty tray, tea, some of your loved ones favourite baked goods and of course fresh flowers of some sort (impertive in my opinon). And of course a pair of cute pajamas is a must. I think simplicity is key, we often underestimate how far a bowl of fresh berries and a few tasty croissants can go. My favourite croissants by far are from Woolworths, but a local bakery's can also be really good. 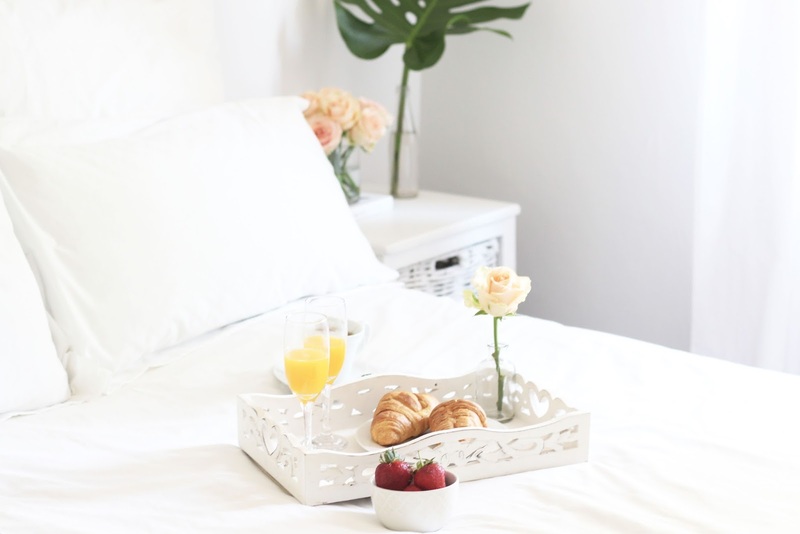 Lastly add some freshly squeezed orange juice to your tray for colour and a little something healthy, and of course a pot of your favourite tea. A statement tray- I found this one from Mr Price a few months back, I love the white wash and details on it. I used simple plates to photograph this breakfast, but a few fancy dishes always make it special. Pick out some of your favourite dishes to serve the food on. For a touch of elegance serve the fresh orange juice in fluted champagne glasses. Fresh flowers - a pretty arrangement of flowers is always such a lovely fresh touch. Mix and match some in season flowers or opt for a elegant vase of simple roses. I placed mine on the side table and just added a single rose to the tray. Balloons are also a fun touch if you're celebrating a birthday.